When it comes to misting systems, your mist pump is the heart of it all-and the biggest part of the investment in your misting system, so we build them to last. Its important to get the right pump for your needs and to take care of your misting system so it can take care of you when you need it. 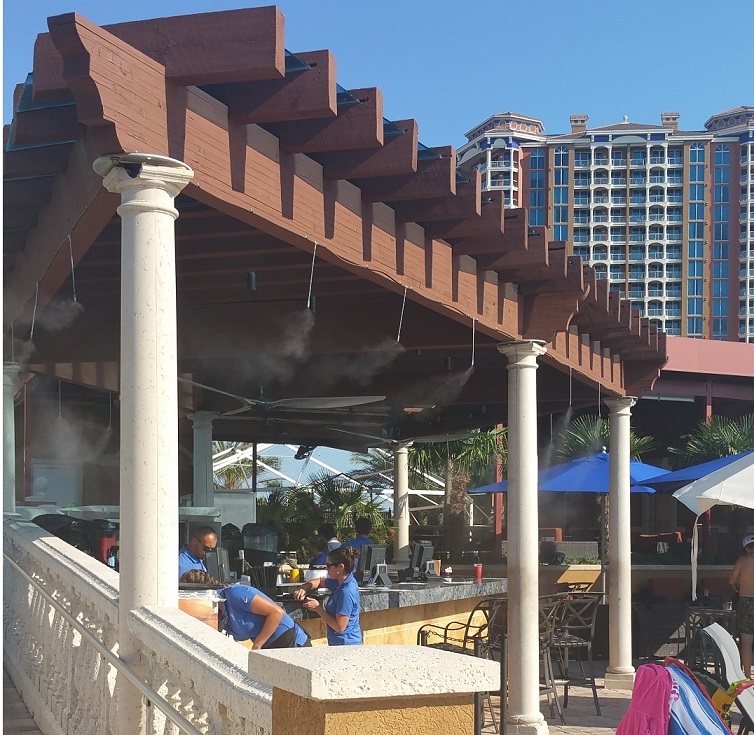 We take great pride in building our top of the line misting pumps, with the highest quality components, right here in the USA.Whether you have a great outdoor al fresco dining patio at your restaurant, a fabulous pool bar at your hotel, a beautiful outdoor kitchen at home, a hot warehouse, livestock or poultry that needs to stay cool in order to product, an amusement park with fog effects, a dusty job site in need of dust suppression, or whatever your need for mist may be… we build a mist pump that’s just right for YOU! For those on a budget we offer mid-pressure 160 psi mist pumps and bare-bones high pressure mist pumps. 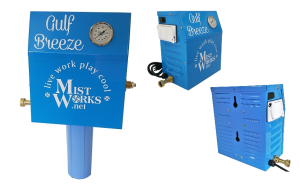 High pressure mist pumps are a must to get optimal cooling without wetting. Call us at 877-647-8326, that’s “877-Mist-Fan”, now and we can determine the best mist pump for your needs. Mist Works isn’t the cheapest, WE ARE THE BEST! Best quality mist pump at the best price. CAT ceramic triplex plunger pump head. Solenoid valve; if pumps power is shut off, stops water. Pressure Switch; safety feature keeps pump from burning up if water shut off. Easily mounts to wall, cord plugs into standard 110V outlet. Built in the USA by Mist Works!